Looking for an activity for your introductions? How about creating trading cards? This can work for online or face-to-face courses. Have students use either a picture of themselves or an avatar that represents them. Choose what info you want them to share and add it to the instructions. 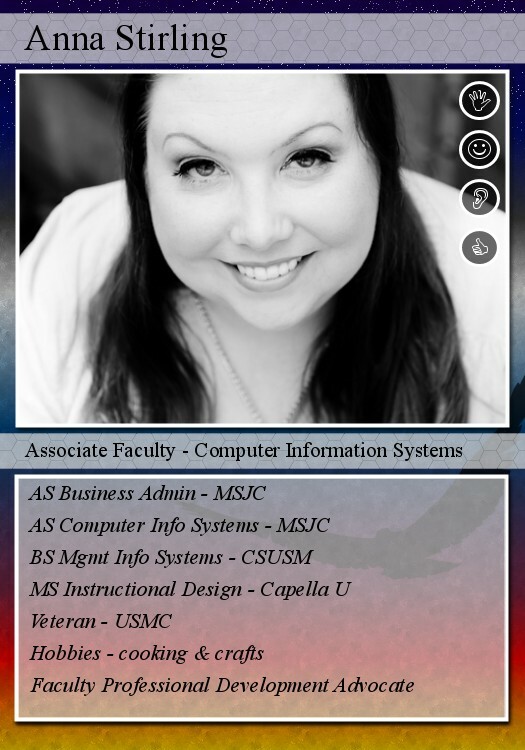 Send your students to http://bighugelabs.com/deck.php to create their cards. Download the instruction example document below and modify it for your course.